Finding and implementing the best EMR for small practice poses a lot of unique challenges when you have fewer than 5 physicians practicing together. When you're trying to decide on the best EMR for a small practice, you are dealing with so many moving parts that it becomes a nightmare to put all of them together in a cost-effective manner which also does not hinder your productivity. That's one of the barriers many physicians have to implementing electronic medical records. It's also why less than 12% of small practices utilize EMR technology. Web based EMR software is a great option for many practices because the setup time is drastically reduced. With a server based set up, there's a great deal involved in setting up the infrastructure. For a large practice with a large IT support staff, the down time and cost is manageable for implementing a server-based EMR, but it's enough to cripple a small practice. A web based electronic medical records system is readily customized, and because the entire system is off-site on secured servers, there's very little to implement on your part aside from training staff and moving your systems to a digital environment. A web based electronic medical records system is far more affordable; running as low as $300/month. That fee includes the implementation, customization and monthly maintenance associated with storing and maintaining records along with regular IT support for your practice. Implementation can be reduced to as little as a few weeks for web based electronic medical records. 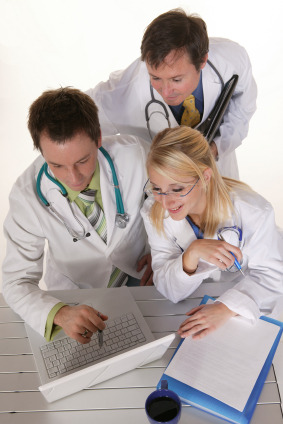 Top EMR Systems provide you with an option to implement either web based or server-based EMR Systems. It is ultimately a personal choice of the Physician involved. Some EMR vendors tend to nickel and dime small clinics by quoting a small initial fee and then adding on a number of charges for components that will be required to meaningfully use the EMR. Best EMRs meant for small practices package all the required components and interfaces into a single upfront fee and these occasionally include ePrescription, Lab Interface, Patient Portal, etc. Small practices need to implement fully Certified EMR Software that has been customized for the use of all the physicians working there. This means customization of templates as well as the workflow that promotes efficiencies in the Practice. Further small practices need support in ensuring that there registration and attestation process associated with obtaining the EHR Incentives is facilitated by the EMR vendor. Where the best EMR for a small practice is concerned, the American Medical Association knows that physicians need help in implementation. In May of 2011, the AMA launched a program that specifically targets small practices like yours who lack EHR technology and may be wary of implementing new systems due to cost barriers or understanding the technology. According to Steve Stack, the board secretary of the AMA "We created the series as a primer for physicians and practice staff to understand the key stages of health IT adoption and the implications of the current regulatory environment," said Stack. "Even though the adoption of health IT is growing, there is still a very large constituency--particularly those in small practices--that is not using health IT today, and most of us access the healthcare system through the small practice." The program aims to provide physicians with an efficient approach to finding the best EMR for a small practice. Through a series of videos, the AMA presents overviews of Health IT, how to choose the best web based EMR for a small practice, how to prepare staff, efficiently implement the EMR system, and more. This can greatly reduce setup time within your clinic. There are a lot of benefits of an EMR system, and the stimulus reimbursement can offset your setup costs. So, don’t procrastinate. Schedule a free EMR Demo from a EMR vendor that specializes in serving small practices and jump start the process of digitizing your practice.